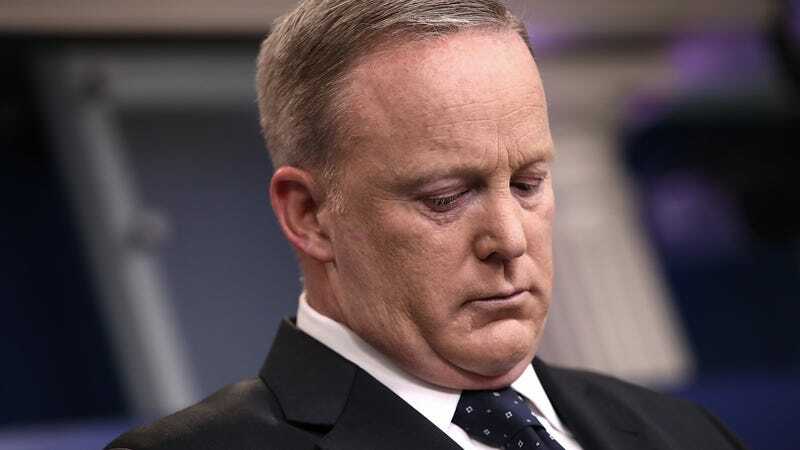 Following what appears to have been the worst (and tannest) six months of his grim little life, the New York Times reports that Sean Spicer has resigned from his position as White House press secretary. I would say we’ll miss seeing him regularly dissolve into an incoherent puddle in the briefing room, but those aren’t public anymore. When he learned that he would be expected, again and again, to spout flagrant lies on his boss’s behalf. When his boss fired the director of the FBI to get out of being investigated. When he accidentally praised Hitler in his official capacity as White House press secretary. When a guy with deep ties to a Nazi-linked Hungarian nationalist group was given a job in the White House. When the president’s son openly admitted to a probably-illegal meeting with a Russian government-linked lawyer seeking opposition research on Hillary Clinton. When he got in trouble for being parodied by a woman on SNL. When they started making him wear bronzer. During the transition, Mr. Trump had planned to appoint Mr. Scaramucci, a 52-year-old Harvard Law graduate from Long Island, as director of his office of public liaison, but the offer was pulled at the request of Mr. Priebus over concerns about Mr. Scaramucci’s overseas investments. Anyway, a jolly farewell to Sean Spicer, who can console himself with the knowledge that he will never be forgotten, a timeless example of the endless humiliation and moral degradation the president requires of anyone stupid enough to work for him. 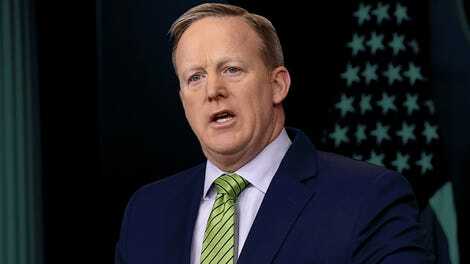 UPDATE: Spicer will be staying on through August, although the last shreds of his dignity appear to have already left. UPDATE, PART 2: Congratulations to America, Sarah Huckabee Sanders is your new press secretary.